Book Description: This is a book of poetry which reveals the simplicity of life and the beauty of Christ to the average person. This is a book of hope, encouragement and inspiration to all people. This book wants to uplift and encourage the lost and broken heart of humanity. May you grow stronger in spirit and character as you read this book. 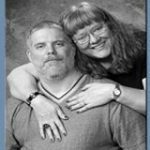 Blog: This is where author Lisa C. Miller hangs out and writes about her life and other interesting things. 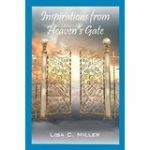 Twitter: This is where you can find author Lisa C. Miller tweeting away. Author bio: I am a poet who has had a creative partnership with the Holy Spirit for many years. I believe poetry reveals the flaws, scars and ugliness of mankind and the beauty of humanity. It forces mankind to face himself.